What irked many about the tweet from Essential was the mention of how soon could they expect the update. Essentials answer? "Next couple months." Android co-founder Andy Rubin's Essential PH-1 phone launched in August runs a clean, near-stock Android Nougat 7.1 OS. The company had so far not confirmed about receiving an update to Android 8.0 Oreo, and that had left users wanting to know how long they would have to wait for the update. The Essential PH-1 was announced back in May.
" target="_blank">responded on Twitter, teasing that an Android 8.0 Oreo update is coming soon. What irked many about the tweet was the mention of how soon could they expect the update. Essentials answer? "Next couple months." This surely comes as a surprise as rolling the update out for a near stock Android device would generally not take very long. Replies from fans in the tweets surely portrayed their disappointment, taking a jibe at the tweet by Essential. Essential was first showcased at event on 25 August and started shipping the phones soon after a two-month delay. 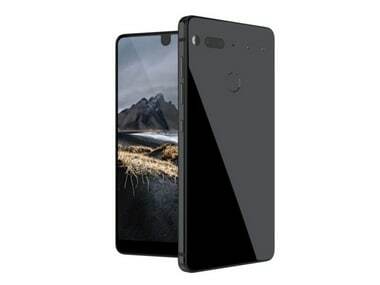 The Essential phone is made up of Titanium and is priced at $699 in the US (approx Rs 44,800). It features a 5.7-inch bezel-less design display with QHD resolution and a 19:10 aspect ratio. The smartphone also features the world's smallest modular 360-degree camera which can be purchased as a $50 (approx Rs 3,200) accessory with the phone. The Essential PH-1 smartphone is powered by the Qualcomm Snapdragon 835 chipset which also bundles in the Adreno 540 GPU. The device comes with 4 GB RAM and 128 GB of internal storage. In terms of camera specifications, the Essential PH-1 features three camera sensors, two 13 MP RGB sensors and one 13 MP monochromatic sensor on the rear side of the phone. The three sensors help the smartphone in capturing images through a unique 'Image fusion technology'. The phone can record videos at 30 fps, 1080p video at 60 fps and 2720p video at 120 fps.